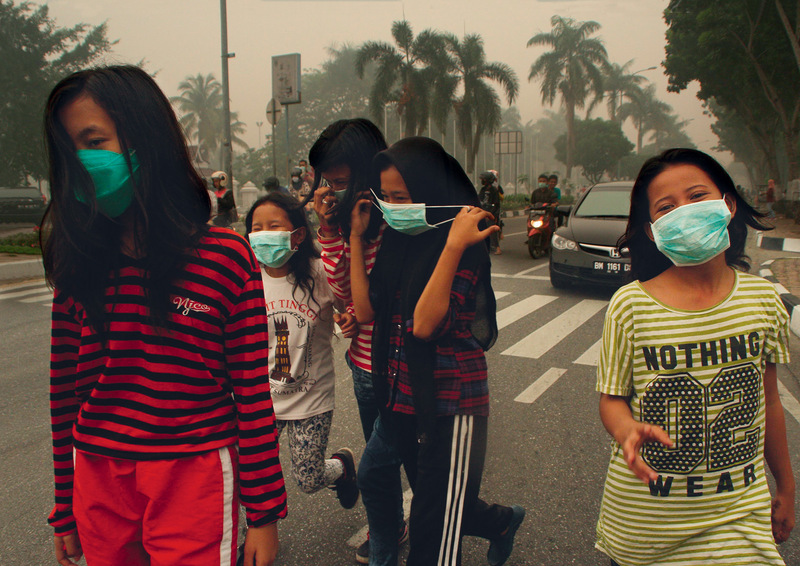 Young girls protect themselves from thick smoke as forest fires swept across Sumatra and Borneo in September 2015. The fires are set to clear the jungle to plant oil palms. Top palm oil producers - Indonesia accounted for over 30 per cent of palm oil production in 2014. Combined with Malaysia’s total, the two accounted for about 85 per cent of production. Palm oil production in Indonesia has exploded over the past 25 years, destroying rainforests, reducing biodiversity and eroding human rights. 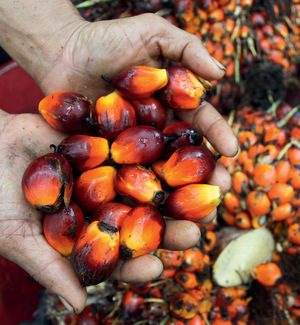 Palm oil is used in cooking, in processed foods and as a biofuel. It’s also an ingredient in soap, detergent, lubricants and cosmetics. 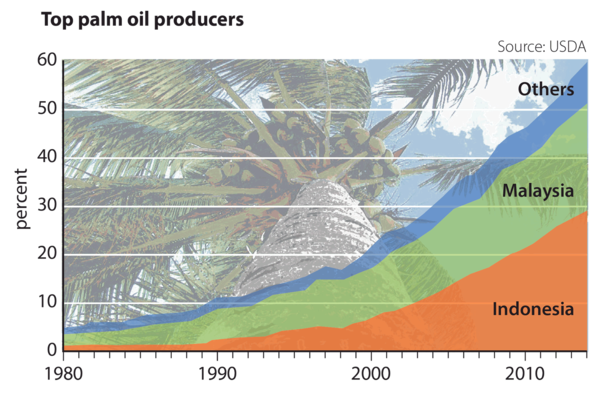 Indonesia is the world’s biggest palm oil producer and the third-largest carbon emitter. Over 85 per cent of the country’s emissions come from burning forests and peat. Indonesia pumped out more CO2 in 2015 than Germany or Britain. Companies using rainforest palm oil include global fast-food chains like Burger King, Wendy’s, Subway, Starbucks, Dairy Queen and Domino’s.